With Christmas Day fast approaching, 'showers' is the common consensus among meteorologists. The dreaded s-word is used with alarming regularity but it takes more than a few gloomy forecasts to postpone some quality time with The Great Outdoors. Nature does not buckle under the elements, however severe. And neither should we. Thankfully, we have been granted a glorious intermission between watery outbursts. 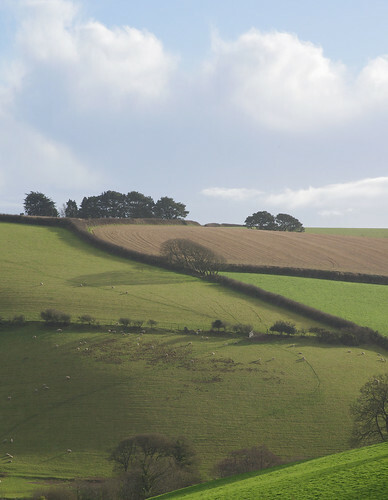 We're Kingswear bound again; keen to see what our favourite lane looks like. Memories may fade but within minutes it's like getting reacquainted with an old friend, and being pleasantly surprised. We see something that we've never noticed before; something that may have been there every time we walked past. This hedge has been subjected to the flail at some point. And in this strangely wet and mild winter of ours, everything is exposed. There are fewer branches and leaves and layers. And what there is left is easier to see. 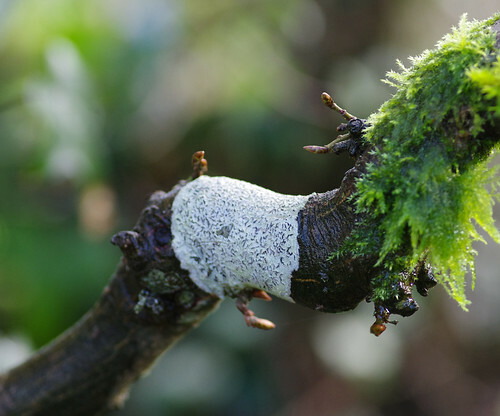 I think this must be an example of the Graphis scripta lichen. The characteristics of the markings (known as lirellae) are about right and the thallus is clearly white (therefore eliminating Graphis elegans from the picture). For some reason this reminded me of a bandage. The hedge was bare but difficult to get to and there was a lot of distracting background detail. 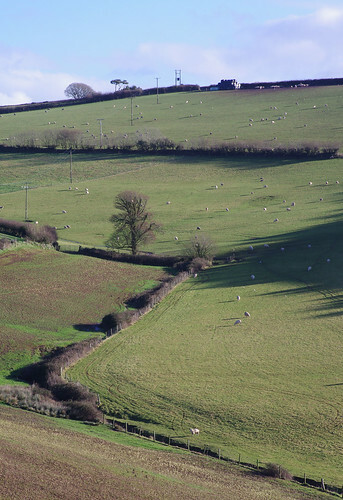 The sun shone and the sheep grazed happily. We admired and absorbed the views, following the contours like visitors to an art gallery: vainly trying to deconstruct a well-known picture. Whenever I see backgrounds this blue I am fain to cry foul, suspecting that some post-processing wizardry has been applied. 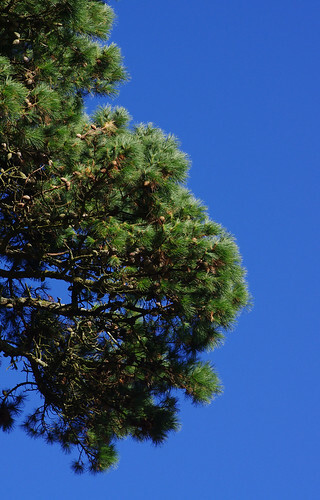 But the sky really was this blue and this was straight out of the camera, albeit cropped slightly from the right. We usually give garden flowers a wide berth. But it was impossible to pass this winter-flowering wonder without endeavouring to capture the colours and the light. Just off the centre of the picture above there is a Painted Lady (Vanessa cardui). Unfortunately, Sherry could not get any closer. It was basking on somebody's garden wall and not about to move for the camera. During some years there are huge numbers of Painted Ladys reported in the UK. But in 2012 I think we only observed a few, at best. 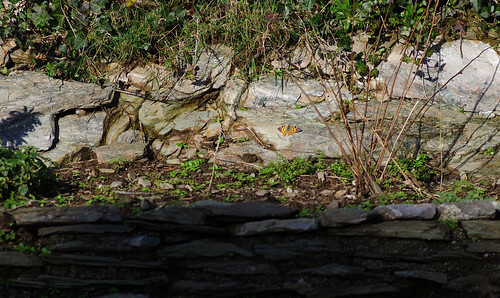 So it was with utter disbelief that we witnessed one flutter before us on Christmas Day! This species on the other hand is widespread and regularly encountered all year round. 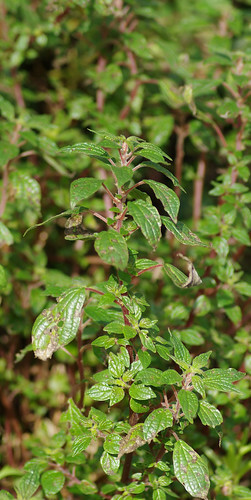 It is a member of the Nettle family - with red flowers at the base of the leaves. We were still elated about the Painted Lady and not really expecting to see anything else out of the ordinary. 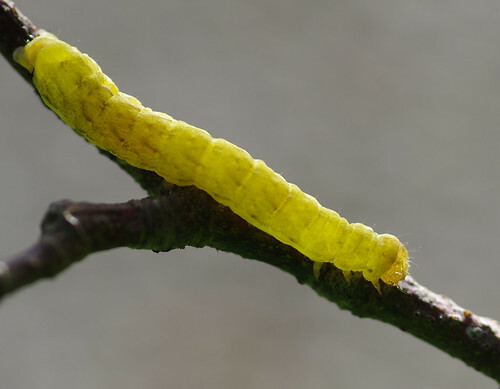 Looking down at the side of the path, Sherry found this yellow caterpillar. The example shown in the field guide has the same markings (including a spot near either end) and segmented body but is clearly green! 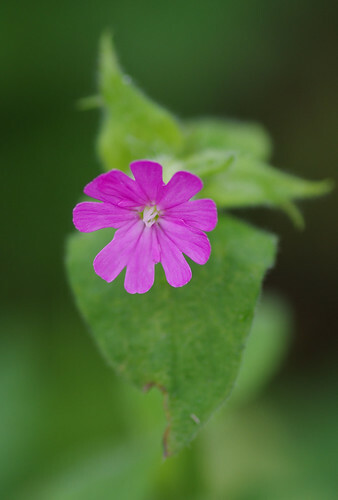 Red Campions are among the hardiest of flowers. 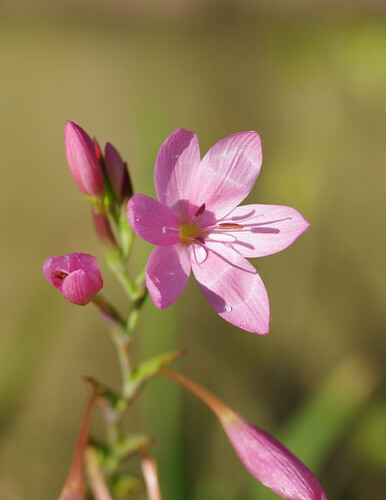 When many a bloom has flowered and withered away, a splash of pink is sometimes seen to enliven bare hedgerows and path verges. The caterpillar had already sensed rain and was heading for cover. We saw the confirmation on the horizon. Our glorious interval was coming to an end. With Christmas dinner not eaten (or even prepared!) it suddenly seemed like a good idea to be heading back. Naturally, there were a few pauses along the way to look at things. 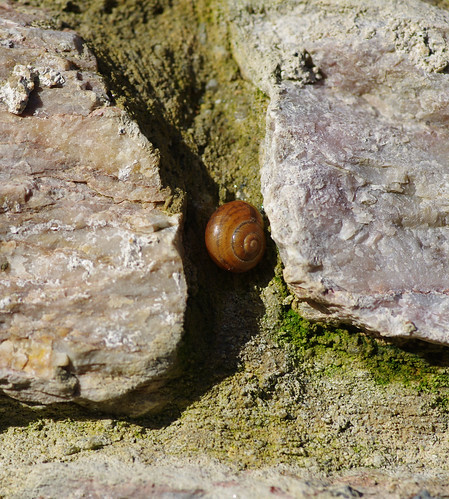 This snail was sheltered and warm on the wall. We think it's a type of Banded snail (possibly white-lipped) but we didn't pick it up because it looked perfectly contented where it was. 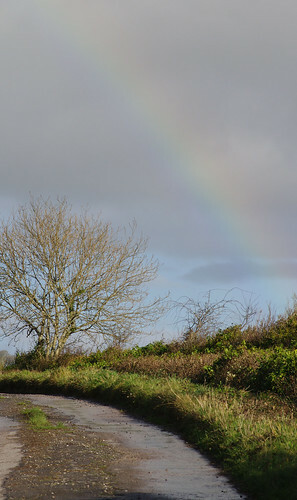 This is the first rainbow I've ever seen on Christmas Day. As we rounded the bend it appeared to be coming in our direction. I found this slug struggling for its life in a puddle. After a couple of failed efforts I safely transferred it to a leaf. 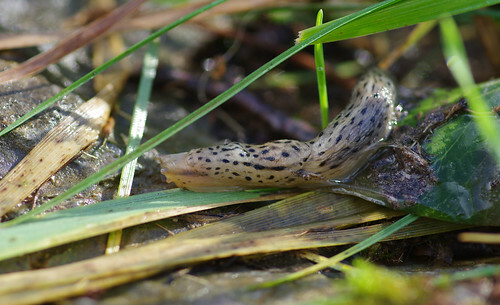 Slugs are commonly perceived as Public Enemy Number One by gardeners. But not all slug species are vegetative gluttons. 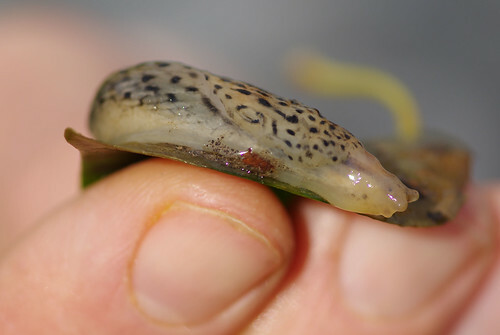 Leopard Slugs prefer the leaf litter to lettuces and play an important part in breaking down decaying matter. So if you see a slug with this striking pattern please spare it! They also perform spectacular nocturnal aerial mating displays - something I have seen on television but never witnessed first hand. We looked for a suitable bit of ground to transfer the slug, away from the puddles. This was about as close as the rainbow came. The end touched a stream in the bottom right corner and then strangely retreated. 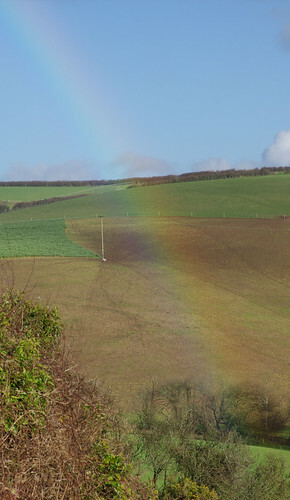 Years ago, while walking the Cornish coast path, I actually walked through a rainbow. 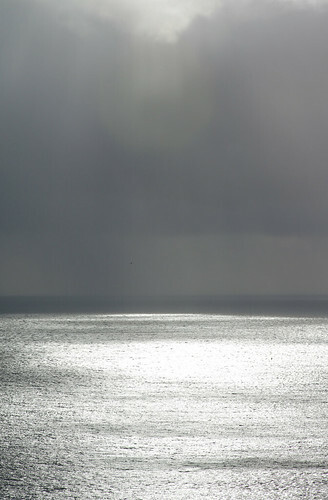 By the top of a cliff the rays were coming out of a blowhole. Walking through it seemed so otherworldly and dreamlike that I forgot to make a wish! Sherry took many shots of these trees on the way out but the sky was too bright. On the way back there was more definition in the clouds and a far better tonal range. With the gate at the end of the lane in sight, we rescanned the hedges once more. 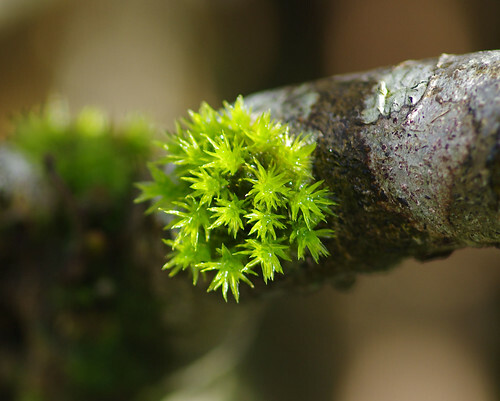 Lo and behold, there was this spiky moss to round things off nicely. All in all it had been a productive couple of hours and somehow we had managed to dodge the showers.